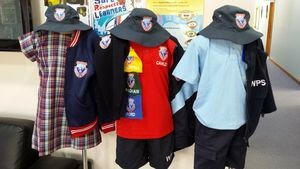 The P&C is proud to providing our school community with quality uniforms. All profits go towards the enhancement of the facilities and technologies to benefit our children. At the start of 2018 P&C now have uniforms only via LOWES ERINA or LOWES online. We will continue to sell HATS via flexischools and via canteen. Online orders for hats only are available 24/7 through Flexischools. Flexischools orders are downloaded directly to the uniform shop after 5pm, 7 days a week. Orders are processed and despatched within 4/5 days and sent home with your child. Any hats ordered that are not in stock at the time the order is placed will be put on back order and sent home once received. 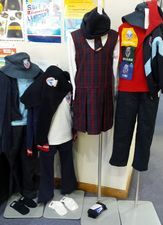 Uniformshop takes donations of second hand uniforms, any items with NO NAME tags left in lost property at the end of each term are donated to uniform shop. Unfortunately, the Uniform Shop is currently unable to open to the public on regular days, as this requires dedication from several volunteers. If you wish to help out, please contact our coordinator, at ua.gr1555713525o.cdn1555713525aplar1555713525ebmaw1555713525@pohs1555713525mrofi1555713525nu1555713525. 2016 T 4, WPS conducted a survey within our school and to our parent community to support the direction of WPS school uniform policy.